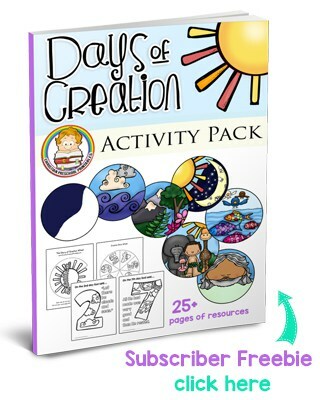 Our Free printable games worksheets, crafts, and activities are a great way to enhance your Bible lessons. Resources on this page focus on the life of Abraham. During Abraham’s lifetime, he experienced many struggles and successes and you can draw key truths from these life experiences. 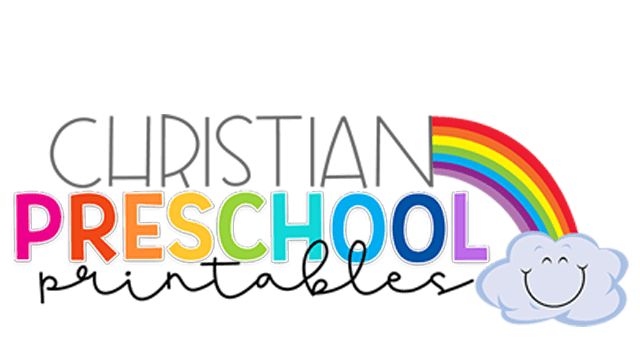 Children can learn to wait on the Lord, that obedience is an act of Faith, that God keeps all of His promises, and with God all things are possible. 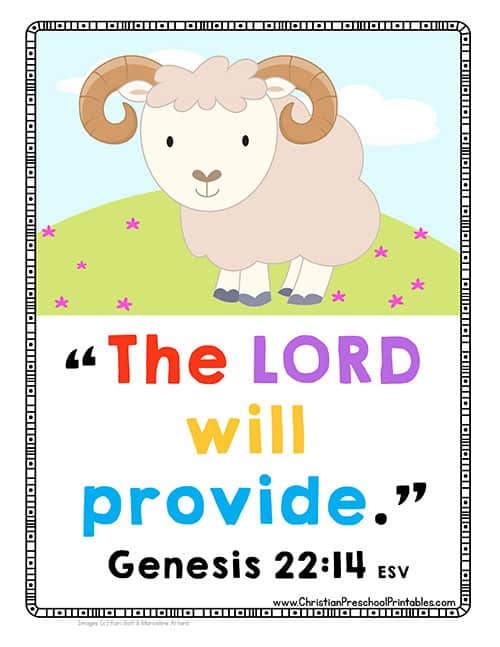 This is a colorful Bible verse chart you can use in your classroom to remind children the God will provide for their needs. Adjust your printer settings to print 8 per sheet to make take-home flashcards for students. 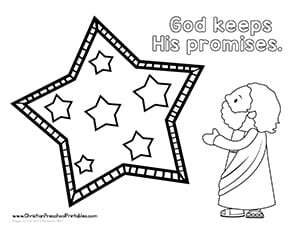 This is a simple coloring page for little hands to remind children that God keeps all of His promises. 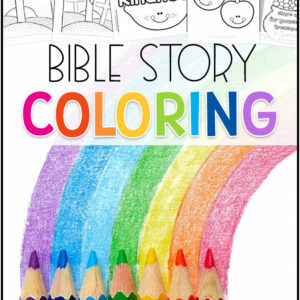 Children can color in Abraham and the stars in the sky. 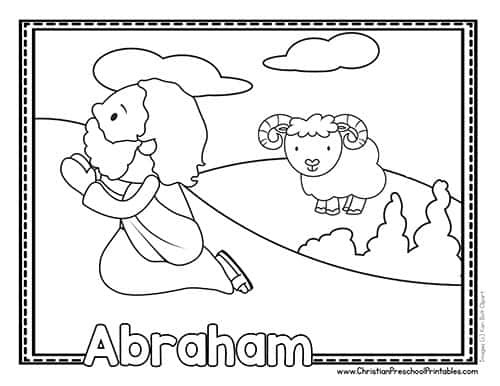 This is a simple coloring page depicting Abrahan praying to God and God providing a sacrificial ram. 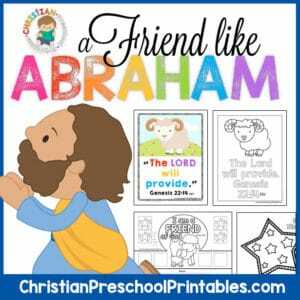 This is a great coloring page for children learning the story of Abraham and God's provision for us. 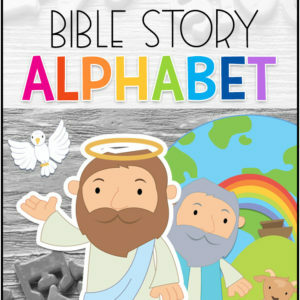 Students can practice their early handwriting skills while learning key scripture. 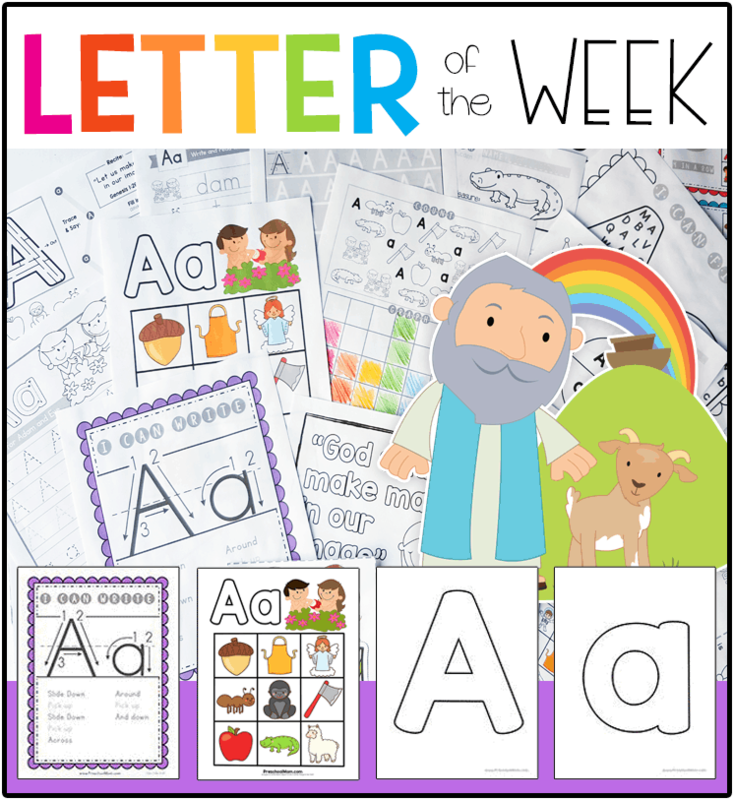 This Bible verse tracing worksheets includes letter formation cues to remind children the proper order. 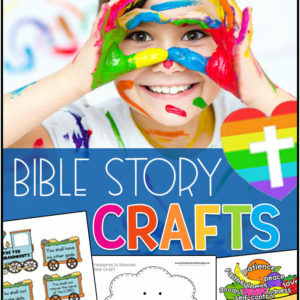 Use this full page size ram for bible craft time. Provide children with cotton balls and a little glue to dip. When these are dry they make fantastic bulletin board displays with "The LORD will Provide" written above all the rams. 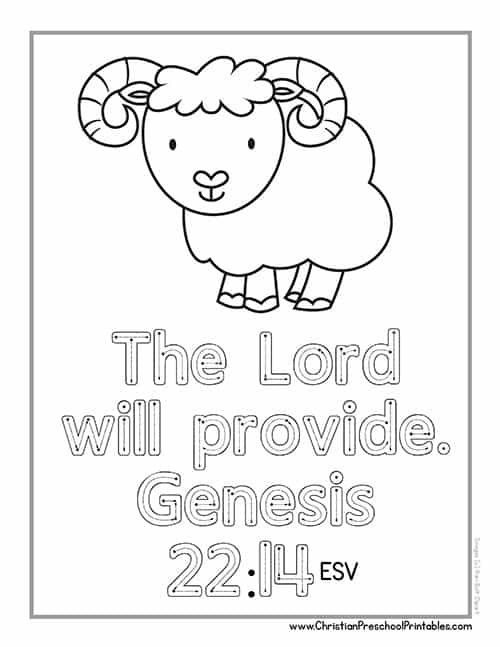 This is a bible verse worksheet for children to color in and trace. There is a picture of a ram with the bible verse from Genesis 22:14 below, "The LORD will provide." Children who are displaying readiness, can trace over the words for practice. 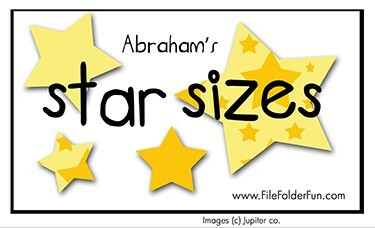 Here is a printable version of the bible song, "Father Abraham." This is a great way to introduce your lessons, and to help children get their wiggles out too! 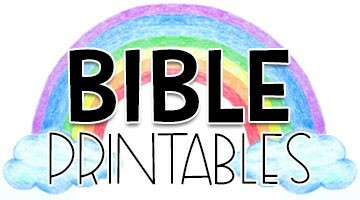 A collection of Bible printables focusing on story order, the lineage of Christ and much more! This is a great way to memorize the genealogy from Abraham to Christ.